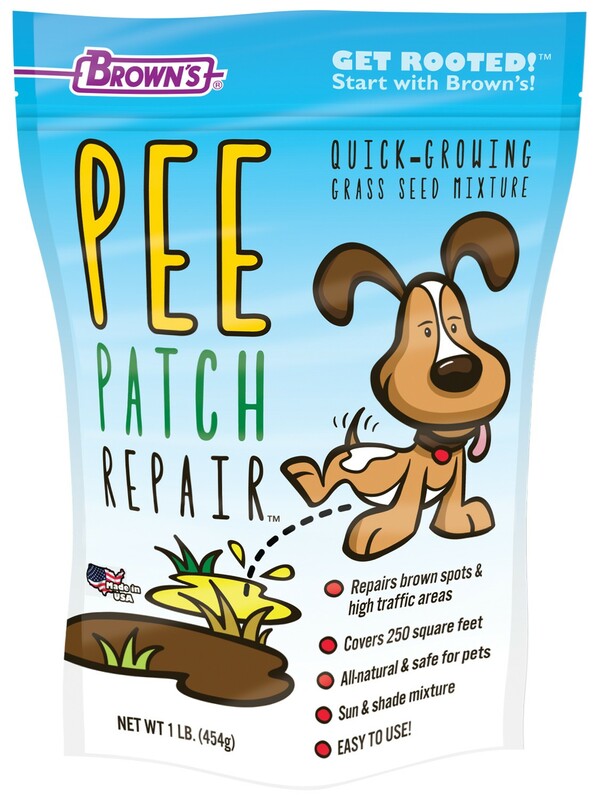 Our Free-Standing Pee Patch Repair™ Quick-Growing Grass Seed Displays offer a great “impulse buy” opportunity for your customers. 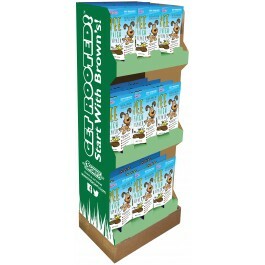 Convenient and easy-to-use, this free-standing display is a great way to boost seasonal off-shelf sales. We love our dogs, but lawn damage from their urine and high traffic areas can be frustrating to deal with. Doggie urine is like super concentrated fertilizer that kills grass and burns the life out of your lawn. The most successful solution to bringing your lawn back to life is the natural one. A little water, some new soil, and a generous sprinkling of our quick-growing premium grass seed mixture will get you on your way to new green grass within a week. Pangea Perennial Ryegrass, Edgewood Creeping Red Fescue, Evening Shade Perennial Ryegrass, Brooklawn Kentucky Bluegrass, and Mercury Kentucky Bluegrass.